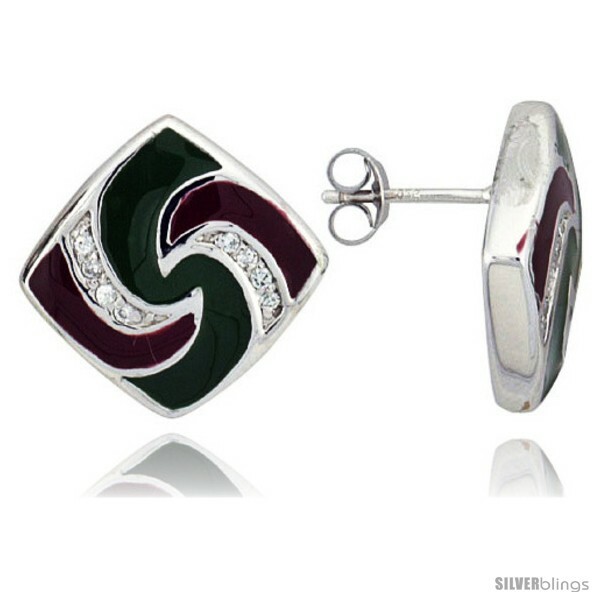 Add a touch of elegance to any ensemble with this gorgeous Enamel Finish Earrings made from Sterling Silver which is beautiful and makes a bold statement of style. 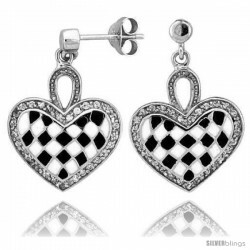 These Beautiful Earrings are crafted from Solid Sterling Silver and Rhodium-plated to make it anti-tarnish and give it a White Gold look. 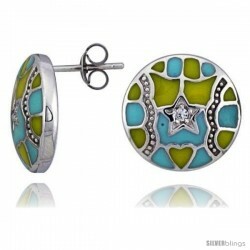 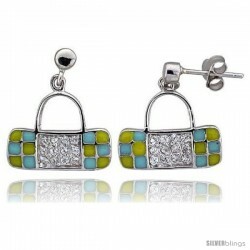 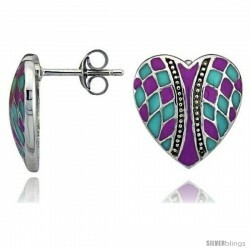 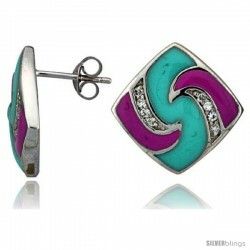 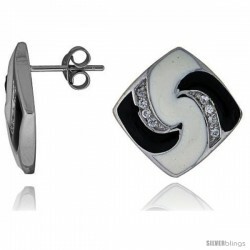 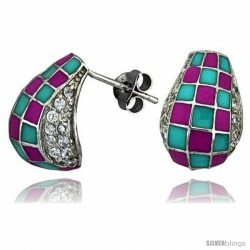 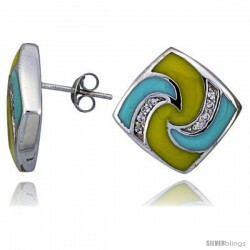 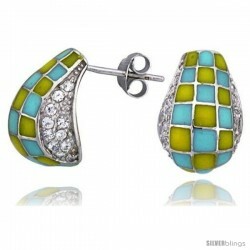 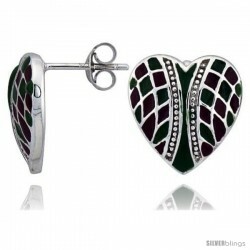 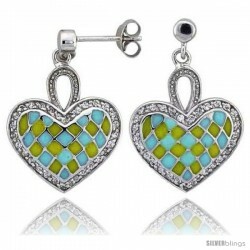 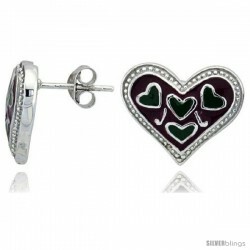 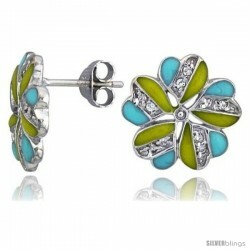 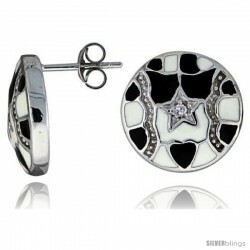 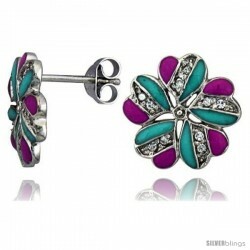 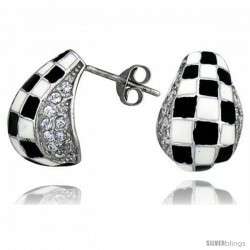 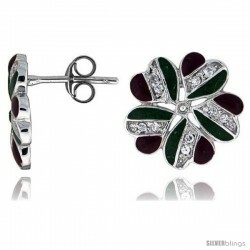 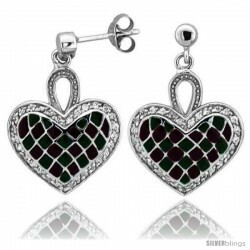 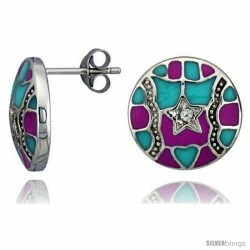 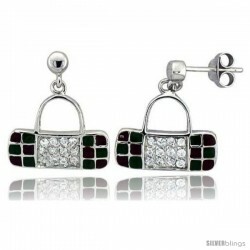 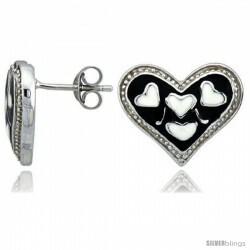 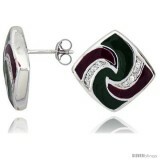 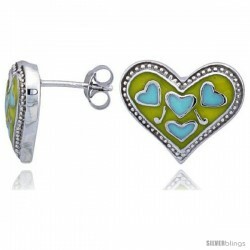 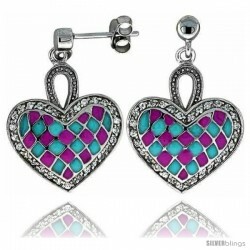 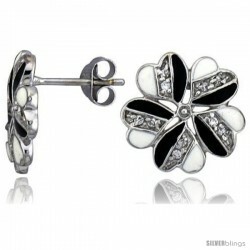 Each piece is brilliantly set with High Quality Cubic Zirconia Stones and designed with Colored Enamel. 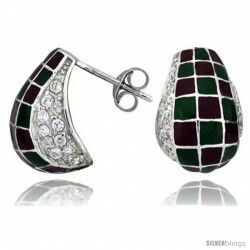 The quality of these pieces of jewelry is excellent and can make very good substitutes for those earrings which cost hundreds of dollars.